End-of-life (EOL) ships contribute significantly to the flow of recycled industrial Fe and non-Fe metal materials in resource-poor developing countries. The ship scrapping (breaking) and recycling industry (SBRI) recycles 90–95% of the total weight of EOL ships and is currently concentrated in Bangladesh, India, Pakistan, Turkey, and China, due to the high demand for recyclable and reusable materials there, an abundance of low-cost labor, and lenient environmental regulations. However, the SBRI has long been criticized for non-compliance with standards relating to occupational health, labor safety, and to the management of hazardous materials. Among the different EOL recycling options, Bangladesh, India, and Pakistan use open beaching, a technique that exposes all spheres of the environment to the release of hazardous materials from EOL ships. 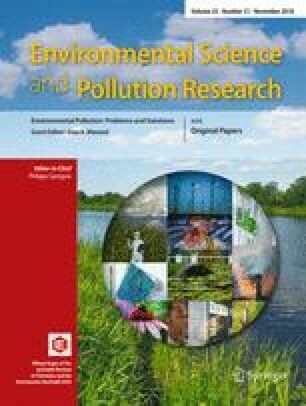 This article summarizes the current state of knowledge on the environmental exposure of hazardous materials from SBRI, to judge the risks associated with the dismantling of EOL ships on open beaches. Our work includes an overview of the industry and its recent growth, compares available ship-breaking methods, provides an inventory of hazardous releases from EOL ships, and reviews their movement into different spheres of the environment. The economic dynamics behind open beaching, and apportionment of responsibility for hazards related to it, are discussed, in order to generate policy and legal recommendations to mitigate the environmental harm stemming from this industry. Suman Barua, Ismail M. M. Rahman, and Mohammad Mosharraf Hossain are the co-first authors. This research was partially supported by Grants-in-Aid for Scientific Research (15H05118 and 17K00622) from the Japan Society for the Promotion of Science.